St. Thomas the Apostle Catholic Church in Naperville, Illinois wanted a focal point for the interior of its church. 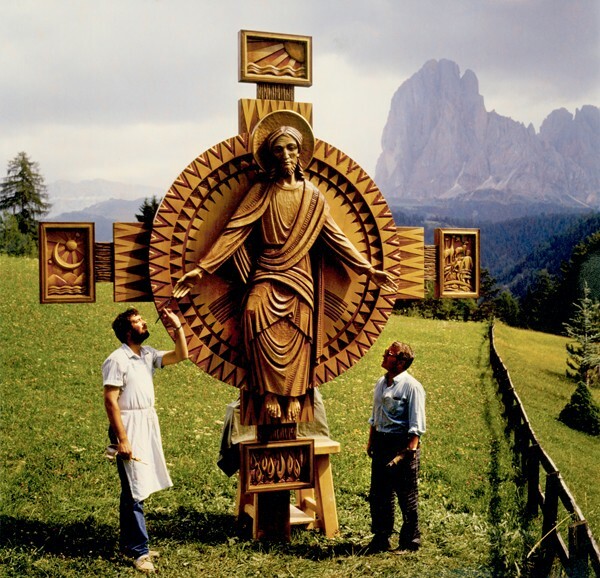 Conrad Schmitt Studios designed a “Resurrected Christ” sculpture. 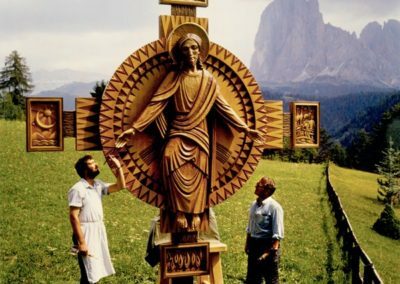 Carved by hand out of lindenwood, the sculpture shows a figure of Christ seated on a rainbow, his arms extended in welcoming. The rosette shape and strong border are based on elements of Franciscan design. 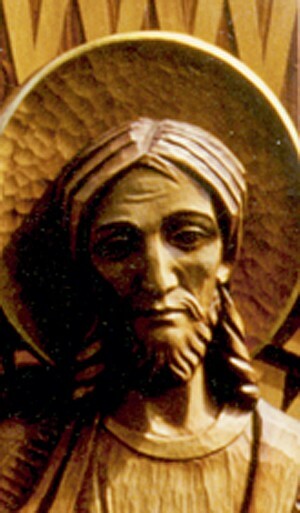 The “Resurrected Christ” was the first of many commissions for crosses in a similar style.